IT solutions organization NIIT Technologies is making a move this week to acquire Whishworks, reports Julie Mhun at Finovate. The IT consulting firm is expected to strengthen NIIT’s digital capabilities and complement the company’s offerings to create a powerful solution in the digital integration space. Specific terms of the deal, which is subject to regulatory approvals, have not been disclosed. However, NIIT announced it will acquire a 53% stake initially and purchase the remainder of the company over the next two years, with compensation dependent on financial performance. The company will be making the purchase in an all-cash transaction, funded through internal accruals. “Whishworks fits into our overall digital strategy, enhances our footprint in a high demand space, and is a significant addition to our existing capability spectrum in digital integration. This initiative is in line with our strategy to drive growth and create value over the long term by enhancing capabilities and domain depth, adding new partnerships, and making well-considered acquisitions that complement our existing strengths,” says NIIT Technologies CEO Sudhir Singh. Founded in 2010, Wishworks specialises in MuleSoft and big data technologies. The company’s 250 employees build around MuleSoft’s AnyPoint platform and its consultants hold over 350 MuleSoft certifications. Whishworks founder and CEO Sri Arardhi says that the company sees “substantial opportunities and growth potential” with the new deal. Specifically, Arardhi notes that the company is “thrilled” to have NIIT Technologies’ support, presence, and scale in the US. 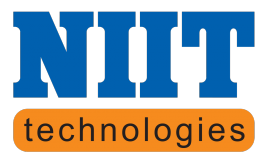 NIIT Technologies was founded in 2004 and is headquartered in Atlanta, Georgia.